Provide comfort for the family of James Mele with a meaningful gesture of sympathy. 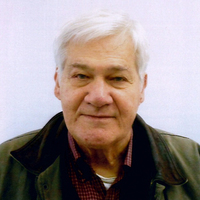 James B. Mele, 70, of Bristol, died on April 10, 2019 after a long illness. He was born in Bristol on June 8, 1948, the son of John and Jean (Pierce) Mele. He attended local schools and went on to graduate from St. Lawrence University, University College, Dublin, and The Antioch International Writing Program. He taught English for forty years in private schools and colleges in the US and Europe. He retired from St. Peter-Marian H.S. in Worchester, MA in 2014. At various times in the course of his career he also worked as a construction worker, farm hand, and a coach for football and wrestling. He is survived by his sister Janet Schooler of Ridgefield, CT; his nephew John D. Mele III of North Attleboro, MA and several cousins. He was predeceased by his mother and father, and his brother, John D. Mele, Jr. James was an avid reader with wide interests, but with a particular enthusiasm for topics related to Irish and Italian history, culture, and literature. He was a widely published, prize-winning poet and short story writer. The highlight of his writing career was the publication of his book, Dancing in Eurynome’s Shoes. He was a member of St. Joseph’s parish and the Farmington Valley Chapter of the Connecticut Poetry Society. A funeral service will be held Monday, April 15, at 11am at DuPont Funeral Home, 25 Bellevue Ave., Bristol. Burial will follow in St. Joseph Cemetery. Calling hours will be Monday morning from 10-11am at the funeral home. To send flowers in memory of James B. Mele, please visit our Heartfelt Sympathies Store. Provide comfort for the family of James B. Mele by sending flowers. No more struggles, no more pain will you feel, only the sweet embrace of your family and friends who have passed through the gates before you. Your smile and words shall be missed here in this world, but, your memory shall live on through your works of thoughts carefully crafted and put to paper. You gave us something special that will now be cherished in our hearts and minds, that gift was you. Rest in peace cousin Jimmy, I will miss your smile, but, I know the family is happy to have you there with them sharing your stories and poems. We'll miss seeing Jimmy at our reunions. We'll miss his observations and sharp wit. It just won't be the same without him. To his family - I'm so sorry for your loss. Jim's presence at our BCHS gatherings will be sorely missed. His kindness, intelligence, and sense of humor lit up the place. He was a good man. My heart aches at our loss, but I rejoice for him. Much love and prayers to his family.